Jillian Mckee, a writer for the Mesothelioma Cancer Alliance, contacted me and wanted to post an article she had recently written on vegetarian diets and cancer recovery. She has been studying nutrition and cancer and has concentrated in on a vegetarian lifestyle. Here is her article! Thanks Jillian! Being diagnosed with cancer can be one of the most difficult and sobering moments in anyone’s life. The anxiety, uncertainty, and prospect of lengthy and debilitating treatment are some of the worries a cancer victim may experience. However, each day new treatments are being discovered and survival rates continue to rise. Any cancer patient, whether just diagnosed, in active treatment, or in remission, will look for lots of ways to improve their overall health. Things such as exercise, meditation, and a healthy diet are all excellent adjuncts to any treatment. When considering a healthy diet, a vegetarian diet is an excellent choice for many reasons. To begin, fruits and vegetables are naturally low in fat. Studies show that a diet, which is low in fat and high in fiber, can prevent certain types of cancers. Since the low fat, high fiber nature of fruits and vegetables has been shown to reduce the rates of various types of cancer; it certainly makes sense to eat a vegetarian diet when dealing with the disease. Simply eating a high fiber, low fat diet is a good idea in any situation and makes sense when dealing with something as devastating as cancer. A vegetarian diet is also beneficial in helping to deal with many of the side effects involved in cancer treatment. Mesothelioma treatments and treatments for many other cancers are physically exhausting and can even cause other illnesses. It is important during this time to be able to maintain one’s strength and energy. Fruits and vegetables have long been known to provide abundant energy. This is especially true of fruits, which provide a quick boost of energy in addition to other health benefits. Having the extra energy that a vegetarian diet provides may allow treatment to continue without the interruption that is sometimes necessary when a patient becomes too weak to continue therapy. Aside from the important physical health benefits, there are also mental benefits. Many people dealing with cancer vow to fight the illness. There is no better way to fight a health threat than by making a change to a healthy diet. It signifies the ability to control part of one’s own recovery. It creates a positive sense of wellbeing in the knowledge that everything possible is being done to combat the cancer. Another psychological benefit can be weight loss. It is known that overweight and obese individuals are at a higher risk for cancer. If an overweight person develops the disease, weight loss may be recommended. For those who need to shed pounds in order to assist in their recovery, a vegetarian diet is a perfect solution. Just seeing a healthier looking self and reaching a healthy weight can be elating and can help take the mind off of the sometimes arduous treatment. But what about those who have completed their treatment and are in remission? While there may be a temptation to return to meats, staying vegetarian will not only provide the benefits already mentioned, but will be an excellent way to keep the immune system at peak performance. This will help with overall wellness but is especially important in cancer survivors, as their immune systems need to be operating at optimal levels to help prevent recurrence. Doctors and other health professionals will do their best to help, but helping oneself by adopting a healthy vegetarian lifestyle is perhaps the best adjunct treatment a cancer patient can use. It will provide a better quality of life, help with the side effects of treatment, and be a personal way to take the fight to this devastating illness. Soy. It everywhere. Its in every product whether it be a filler or a product. There are tons of claims of this food being healthy for you, particularly for women going through menopause. Where does this claim come from? Well, its not the health world. Soy is a toxic plant. Its even on the FDAs list of toxic plants. RAW soy is POISON. For soy to be consumable it needs to be fermented or cooked. Soy has antinutrients. The large quantity of enzyme inhibitors found in this substance stop the digestion and absorption of your food. Long term ingesting of soy will lead to problems in the digestive system and nutrient uptake which will cause many problem through out the body. With the impairment of enzymes there will a continuous strain on the pancreas cause problems within this organ. 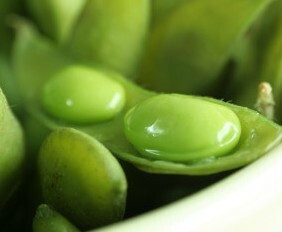 Soy contains hemagglutinin, a substance that causes your red blood cells to clump together and inhibits oxygen uptake. Phytates that are found in soy prevent absorption of minerals such as calcium, iron, zinc, and magnesium. Many women I deal with are consuming soy for hormones but take calcium because their bones are depleting! Goitogens are also found in soy which suppress thyroid function. Soy contains phytoestrogens genistein and daidzein, which mimic estrogen in the body. According to Dr. Mercola if a woman drinks 2 servings of soy milk per day, it can completely alter her menstrual cycle after 1 month. Soy has incredibly high levels of manganese. Many babies are now fed soy formula with high levels of estrogen mimicking hormones and toxicly high levels of manganese it is a wonder there are so many development issues with our children. Please be careful on what you feed your baby if you are not breast feeding! There are products that come from soy that ARE safe and healthy, and these are products that have been fermented. 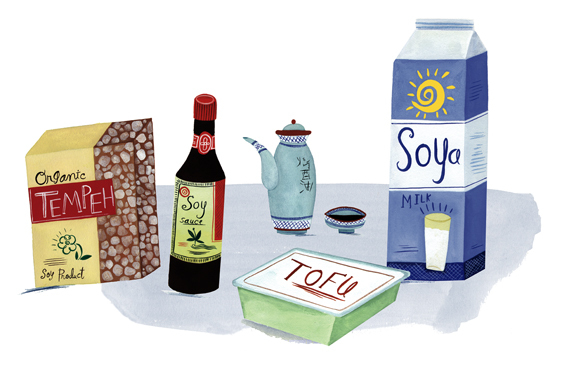 Tempeh, miso, shoyu, and natto are all forms of fermented soy. Fermented soy products have great levels of vitamin K-2, a nutrient that is amazing for your heart and your bone building capabilities. To forewarn, this post is quite long, but i suggest reading it in entirety. Most of your raw food questions will be answered, especially those on ailments. In today’s world we are dealing with many diseases and epidemics that we never once had to deal with. We seem to be downgrading as a society, with cancer, diabetes, and heart “disease” running rapid. We need to find the source of these problems. All of these issues can be traced back to the same dysfunction: Diet. Diet causes these issues, and diet can cure it. A diet high in vitamins and enzymes, as the Raw Food Diet, will tend to these issues. A diet that consists mostly of raw foods allows an individual to not only obtain optimal health, but gives the body everything it needs to fight off the sickness and disease our society faces today. Raw Foods, by definition, are foods that have not been heated or processed in any manner and consist solely of whole foods such as nuts, seeds, fruits and vegetables. Temperatures of these foods should not exceed 118 degrees Fahrenheit, and dehydration temperatures should be kept below 104. The point of this is to keep all enzymes and nutrients intact so your body may receive all they have to offer. By processing and cooking foods, many important enzymes are destroyed and nutrients deteriorate that your body needs to defend itself and keep itself in good health. Hippocrates once said, “Let thy food be thy medicine, and let thy medicine be thy food”. This is a statement that no one really lives by and many truly do not understand its meaning. Our food contains natural medicine, something we should all be consuming on a daily basis. When we are consuming our medicines, our bodies have what they need to heal what is wrong and fight off what is trying to take us down. For instance, wild lettuce (lettuce that has not been domesticated, you cannot find this in the grocery store) contains a milky white sap in the veins of the leaf that is considered a natural opiate. This sap does not actually contain any chemical compounds known as opiates, but it works in the body as one, activating the opiate receptors in your brain. Native Americans used the sap as pain relief. If we are consuming these foods, they will be present in our body and therefore we will be able to use them when our body needs it. By domesticating food, we have taken most of the wild and medicinal properties out of it. We have altered food in a manner so that it will produce different mutations of the same vegetables so we think we are eating a variety. When’s the last time you’ve seen wild cabbage? While we are consuming foods that have no natural medicines in them, we must rely on other properties that can aid in our healing; the natural living enzymes and nutrients found in the food now available. The three main types of people that turn to raw food for healing are those with diabetes, cancer, or are overweight. The enzymatic content in living foods also help the body with food breakdown as mentioned earlier, so the body no longer needs to steal the enzymes reserved in the pancreas. Insulin, being a hormone, needs metabolic enzymes for functioning, as does the pancreas. Ceasing the robbery of these enzymes will enable the pancreas to bring back its proper functioning and heal itself. Another issue in our culture that tags right along with diabetes is the obesity epidemic. With so many people doing special things for “weight loss”, it being a multi-billion dollar industry, we seem to just be getting fatter. Everyone you meet is on a diet of some sort, whether it be counting calories are eating low fat foods, and the book stores have entire sections dedicated to weight loss. It doesn’t seem to be working, does it? It seems that people think there is this ultimate formula to weight loss, as if there is some secret that needs to be discovered. When you look back at our ancestors, they were not overweight. There is nothing here to be discovered. Obesity is on the rise not in the decline, despite the many new “revolutionary” dietary weight loss guides. Consuming large amounts of fruits and vegetables not only provide us with an abundance of fiber which is essential for our intestinal health, but it provides us with amazingly high amounts of essential vitamins such as A, B, C, D2, E, and so on. Fruit such as watermelon contain high amounts of iron, and vitamin C, the ultimate immune booster and cure all can be found in incredibly high amounts Camu Camu Berry, Acerola Cherry, Rosehips, and Bell Peppers. Consuming beneficial fats found in raw nuts and seeds contain no saturated fats, but are high in essential fatty acids, Omegas 3,6, and 9. The raw food diet consists of no cholesterol consumption, and the calories consumed are actually usable for the body. Vegetation contains more bioavailable protein than animal products, as the body must turn everything into a liquid before it can be utilized. What do we need to turn our foods into a liquid? ENZYMES. What would require more enzymes to break down, raw kale, or cooked steak? Besides the higher nutrient content in the kale as well as the ease of digestion due to high enzymes, the protein is more digestible. Kale is a great protein source and is used by many raw body builders. (Wolfe, 2002) Many people do not look to vegetation for protein and are coaxed into believing that we need meat for protein. Gorillas, hippopotamus’, giraffes, cows, and zebras all get to be their incredible size and weight on raw vegetation. The cows we consume get their protein from grass. When your body has what it needs vitamin and mineral wise, and is back to functioning appropriately, you will find that it will begin to heal itself. The body is supposed to completely replace itself every seven years, meaning total healing of all scars and damaged organs. When everything is running as it should, there is nothing blocking it from doing its job, and we are not robbing our enzyme reserves, our bodies will fully heal itself. In 1904, 1 out of 24 Americans obtained cancer in their lifetime. Today, the cancer rate is 1 out of 2 men and 2 out of 3 women. (Kelley, 1998) This means that over half our population will be diagnosed with cancer at some point in their life. This is obviously an epidemic, and nobody is doing anything to look into prevention, rather they are dumping millions of dollars into pharmaceutical research on some kind of silver bullet that will “kill” cancer. Prevention makes no one money, and therefore is not looked into. There is a giant taboo on healing cancer naturally in our society, and there have been reports that people have been mandated to receive chemotherapy against their will. This is such a corrupt and political system, that Dr. Max Gerson, and his daughter Charlotte Gerson were forced to bring their holistic cancer healing center to Costa Rica, where they are allowed to freely execute their practices. The Gerson Institute has healed many people of their cancers and various other ailments with the use of raw vegetable juices, lightly warmed vegetable broth soups, and whole raw foods. There are strict guides in the beginning of the treatment; with a diet that consists of mostly raw vegetable juices many times a day and coffee enemas. To understand how this can possibly cure cancer we must first understand how cancer works. We all have cancer cells. In order for cancer to come up on a test, the cells must multiply to a certain level, when they begin to break down other cells and degrade them. Cancer loves acidic environments and feeds on sugar. The typical state of the average American: acidic. What do they mostly consume? Sugar. We put our bodies in the exact environment cancer needs to succeed. Dr. Max Gerson found that potassium, a vitamin found in vegetation acts as an enzyme catalyst. He also found that pancreatic enzymes act in attacking tumor tissue. Since our pancreatic enzymes go towards digesting our foods, particularly the insanely large amount of protein we consume, it cannot properly attack foreign and unwanted tissue. Restoring the pancreas to full function, allowing its enzymes to do their jobs, will alone help in the cease of cancer. When you are not consuming sugars of any kind, or eating foods that cause acidity or fermentation like dairy or meat, cancer cannot live. You are starving it. When pH levels are at 8.5+, cancer cells cannot live. (“Stop the cancer” 2011). Gerson therapy is built on this concept, and also provides the body with mass enzymes and absorbable nutrients through juices. When an individual consumes vegetation with no fibers attached, as an unpasteurized juice, the nutrients are immediately delivered into the body, within 10-15 seconds. With this rapid deliverance of essential nutrients and enzymes, the body is able to utilize and deliver everything the food has to offer. With this happening many, many times as day as in the Gerson therapy, it is no wonder that they have such glorious outcomes the past 65 years. It is clear that there is enormous benefit to eating a raw food diet. It keeps excess weight away and is amazing for weight loss, it prevents and heals diabetes and cancer, and as we see in the Hunza people, it promotes longevity and well being. This is how we ate for millions of years. To just push these eating habits aside and go with what the mainstream is doing is literally killing us. We are dying younger and younger and developing chronic ailments at very young ages. We are seeing small diabetic children, along with those that are suffering with cancer. We need to start looking into prevention. We are obviously doing something very wrong in our society that disease is running so rampant. We make the choice everyday when we decide to eat. Am I going to eat something that benefits me, something I should be eating, or am I going to eat something that is going to kill me. The choice is ours. Charlotte Gerson, M. W. (2001). The Gerson Therapy. New York: Kensington Publishing Corporation. Cousens, G. (2008). There is a cure for diabetes. Berkeley, CA: North Atlantic Books. Gerson, C. (2010). Healing The Gerson Way. Carmel: Gerson Health Media. Howell, E. (1985). Enzyme nutrition, the food enzyme concept. Avery. Trudeau, K. (2004). Natural Cures. Elk Grove Village, IL: Alliance Publishing Group. Wolfe, D. (2002). The Sunfood Diet Success System. San Diego: Maul Brothers Publishing Company.